This means no Data set is selected to upload to, and no export rules are configured to determine what data should be uploaded. The order in which you fix this does not matter, but let's assume you start by selecting a Data set. To do this, hit "Choose Data set" in the left blue box. 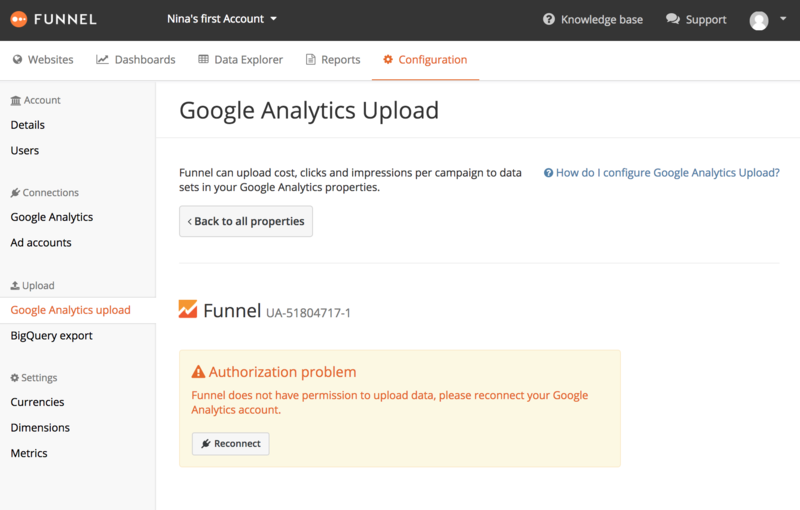 This is easy to fix however, just hit "Reconnect" and grant Funnel permission to write to Google Analytics. 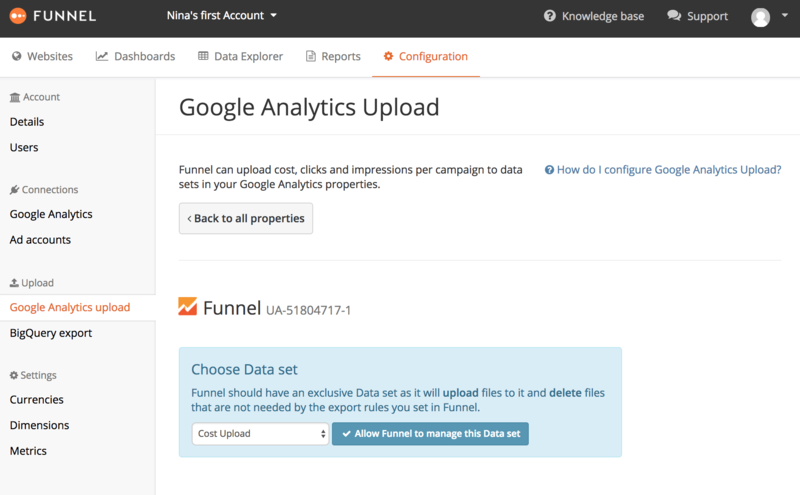 Once Funnel has been given permission to write to Google Analytics, you'll be able to select what Data set Funnel should upload data to. 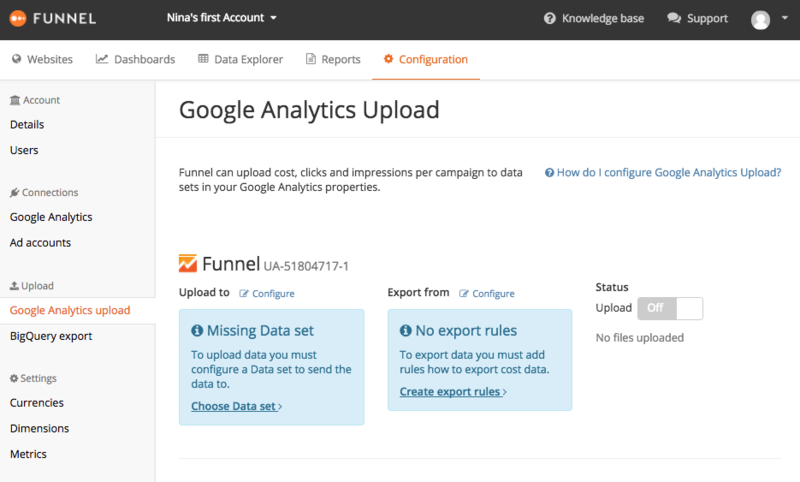 If no Data set exists, Funnel will prompt you to set one up. NB: Once you select a Data set and save it, you will not be able to change it. Therefore, make sure you select the Data set you want to upload to. 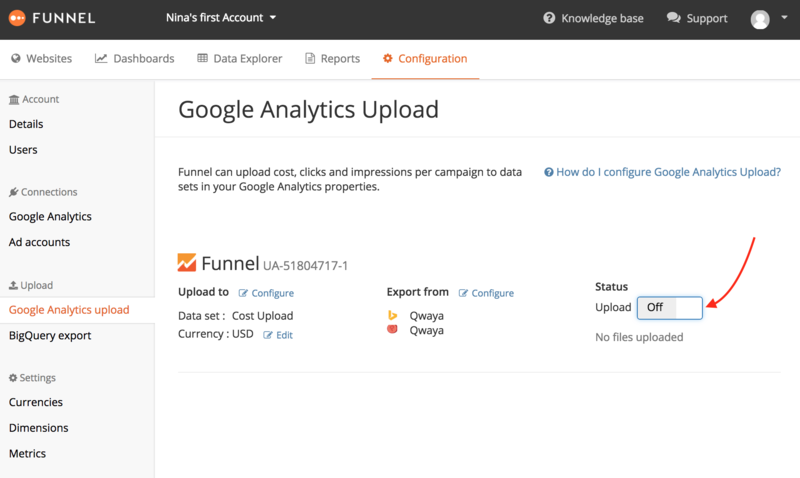 If your Google Analytics property has one or more Data sets however, Funnel will ask you which one to upload to. 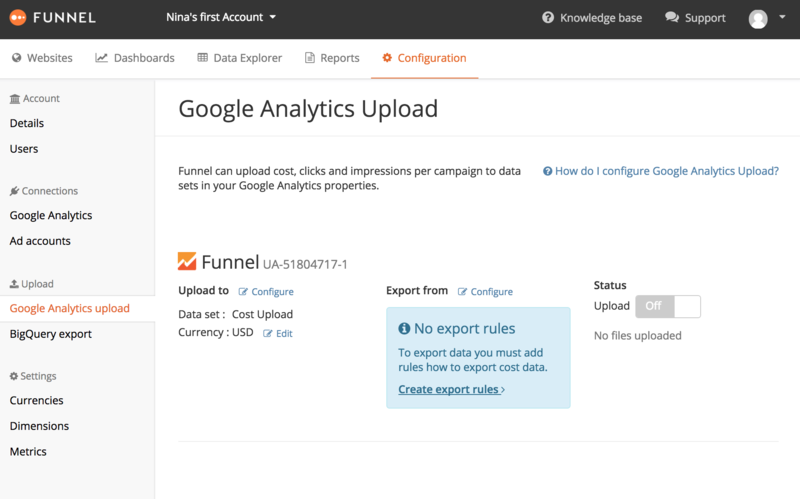 After giving Funnel permission to write to Google Analytics and selecting what Data set to upload to, the next step is to configure export rules. Export rules determines which campaigns from the ad accounts should be uploaded and what source / medium values they should have.